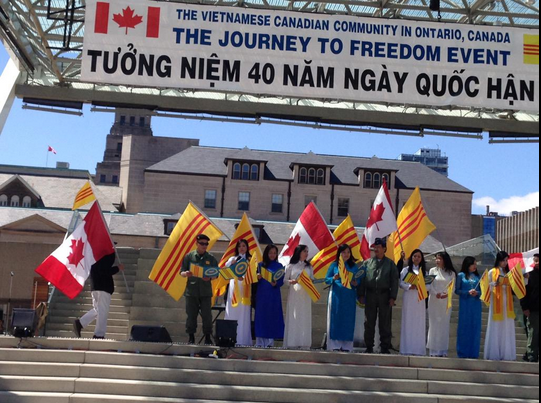 Earlier today, Canada celebrated its first annual Journey to Freedom Day, a day of commemoration for the fall of Saigon, the harrowing journey of the Vietnamese boat people in search of freedom, and their vast contributions to Canada following their arrival. The significance of this day reaches far beyond Canada, however, as Vietnamese refugees were fortunate to find a new home in many different nations across the western world since departing from South Vietnam on and after April 30, 1975. We don’t have much time left before the day is over, so I will have to make this brief. 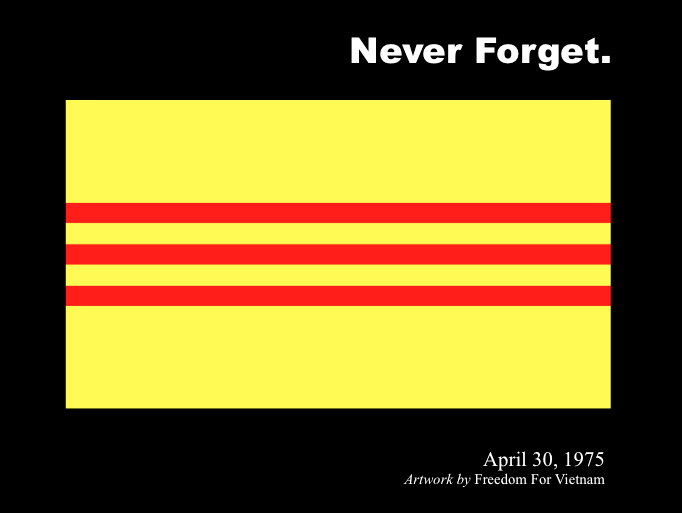 Today, we mourn the loss of the Republic of Vietnam to the Communist North. 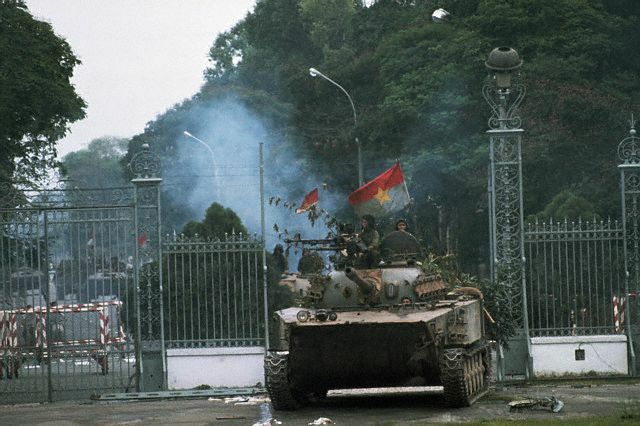 It is on this day, forty years ago, April 30, 1975, that the Northern tanks stormed through the gates of Saigon’s Presidential Palace, signifying the end of the Vietnam War. Without getting into the politics of it all, it is acknowledged as a day of sadness, panic, and heartbreak. On that day alone, hundreds of thousands of Vietnamese people fled the country in frantic hysteria, with the sea being their only way out. It is on that day that the journey to freedom began, and the day that a new chapter in our history commenced. For the next two decades, two million people would leave Vietnam in search of a better life. Of this two million, two hundred and fifty thousand would not make it. For those fortunate enough, new homes would be found in distant lands such as Australia, Europe, America, and Canada. They were the lucky ones, the survivors, and they are our parents or grandparents. It is because of them, because of that journey, that we all have this life today. They risked their lives, they braved the dangers of that voyage across the ocean, and as a result of their strength and courage, we all are blessed with this life and this freedom. It is for this reason that a day such as Journey to Freedom Day carries so much significance across the world. Though Canada is the first to acknowledge the significance of April 30, we are all connected by the stories behind this day. We are all Vietnamese, and we are all here because of someone before us, who was brave and strong enough to embark on that journey to freedom. Whether we are in Canada, the United States, Australia, or Europe, we are all here for the same reason, because someone before us took that harrowing voyage, that journey to freedom. Thus, it is important that we all understand the significance of Journey to Freedom Day, and how, despite being from different parts of the world, we all share that same history, the foundations brought forth by that incredible journey. On this day, we remember the fallen. The soldiers, the people, and the nation of South Vietnam. Furthermore, we, on this day, commemorate the courage and sacrifice of the boat people on that perilous journey, and in that, we must never forget how precious a gift freedom truly is. Enjoy your Journey to Freedom Day, everyone. It’s official, folks. 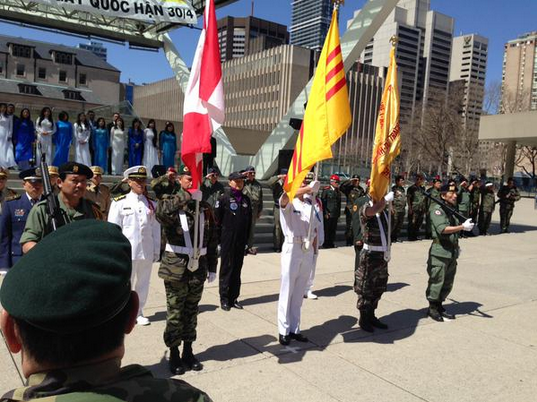 As of late last week, April 30 will be known each year in Canada as Journey to Freedom Day, a day of commemoration for the Vietnamese boat people, their long and dangerous journey across the ocean after the fall of South Vietnam, and ultimately, their new beginnings and incredible contributions as proud and free citizens of Canada. “This year Canadians will mark the first annual Journey to Freedom Day, thanks to a Senate bill which received Royal Assent today. 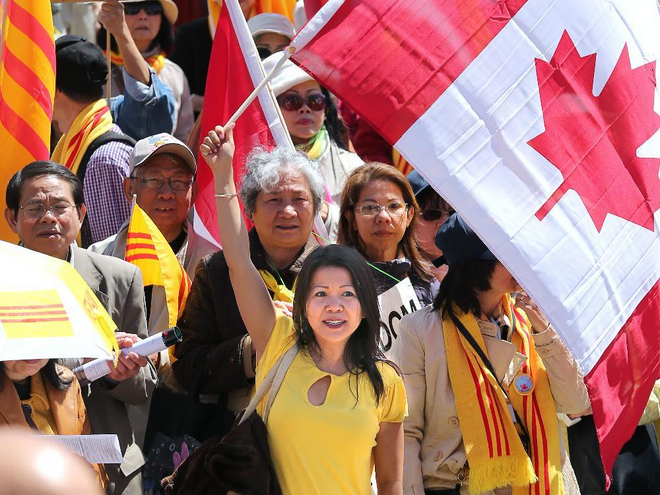 “The Journey to Freedom Day Act, which was introduced in the Senate in April 2014 by the Honourable Senator Thanh Hai Ngo, designates April 30 as a day to commemorate the thousands of Vietnamese ‘boat people’ Canada has welcomed since the end of the Vietnam War. “Designating April 30 as an annual day of commemoration will give Canadians the opportunity to reflect on the journey of more than 60,000 Vietnamese refugees to Canada, to recognize the remarkable role Canadians played in helping them settle in their new home through the Private Sponsorship of Refugees program, and to celebrate the contributions of Canadians of Vietnamese origin to our country. Mark Adler was the sponsor of Bill S-219 in Canada’s House of Commons during its lengthy process of becoming law. His hard work in support of the Journey to Freedom Day Act is another huge reason for its great success. There’s not much else to be said here, folks. It’s done, and it’s beautiful. The significance of this law echoes far beyond Canada itself, as freedom-loving Vietnamese across the world are rejoicing the passing of this law, and commending Canada for this great commemorative act. Congratulations to Senator Thanh Hai Ngo, Member of Parliament Mark Adler, Defence Minister and Multicultural Minister Jason Kenney, Prime Minister Stephen Harper, and everyone involved in making Journey to Freedom Day a reality. Thank you for all your hard work, thank you for making this possible, and thank you for your service. You just made history. In all, congratulations to Canada for being the first country to pass this trailblazing legislation. From Vietnamese communities across the world, inside and outside of Vietnam, you have done us all proud! The Government of Canada is in the process of passing a new law commemorating the arrival of the Vietnamese “boat people” refugees to Canada after the fall of Saigon in 1975. Known as the “Journey to Freedom Day” Act, or Bill S-219, the legislation honors all of the Vietnamese people who escaped South Vietnam in the wake of the Communist takeover. 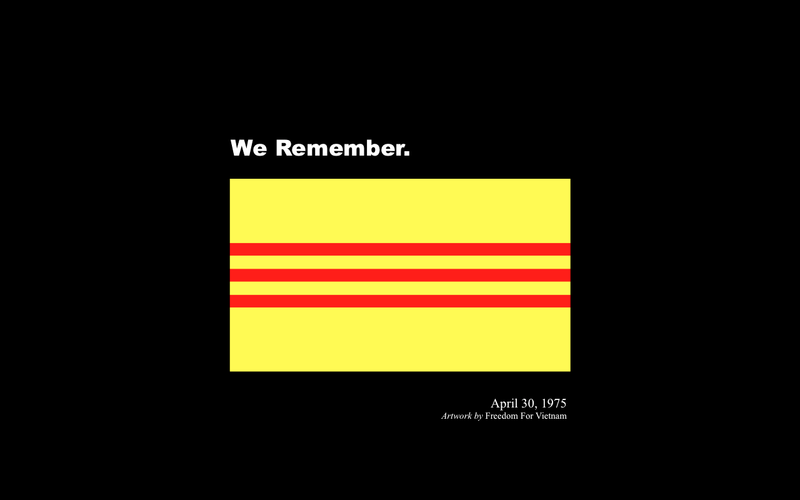 If passed, April 30 will be known every year in Canada as “Journey to Freedom Day,” an official day of remembrance, recognizing the courage and sacrifice of the Vietnamese boat people and their incredible journey to freedom. Originally put forth by Canadian Senator Thanh Hai Ngo, the law has already been passed by the Canadian Senate in December 2014, and has since been referred to the House of Commons for further consideration. As expected, the Vietnamese government in Hanoi is not happy about this development. According to The Globe and Mail, Nguyen Tan Dung has written directly to Canadian Prime Minister Stephen Harper in protest of the new bill. In Dung’s letter, he claims that the legislation presents “a distorted version of Vietnam’s history,” and will likely “damage the bilateral relations both countries have worked so hard to build.” Moreover, a Vietnamese diplomat in Canada claims that the new bill “hurts” Vietnam, as April 30 is described by Hanoi as a day that marks the end of the war and “the beginning of reconciliation.” The Communist government has also accused Senator Ngo of “dredging up the past” in introducing Bill S-219, among the aforementioned and other similar complaints. In response to Hanoi’s objections, members of the Canadian government have stated clearly that this is a private member’s bill, and does not signify Canadian foreign policy. Furthermore, Senator Ngo reaffirms the fact that the Journey to Freedom Day bill has nothing to do with Vietnam’s current regime, but rather with the Vietnamese refugees, and Canada’s warm welcome of these refugees after April 1975. There are many reasons to support this bill, it delivers a positive message and commemorates that incredible and terrifying journey which made today possible for so many of us. It also celebrates the significant role that overseas Vietnamese have played in building up their new home countries after leaving Vietnam in 1975 and the years onward. 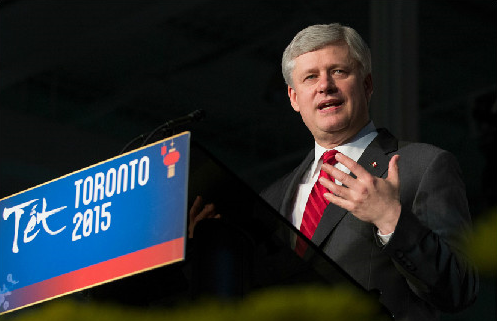 This bill may be introduced in Canada, but the significance is not just in Canada alone. Across the western world, Vietnamese refugees have braved the ocean waves in their search for freedom. As Vietnamese people who love freedom, democracy, and human rights, and this includes not just those of us in Canada, but also the U.S., Australia, Europe, and everywhere else, it is important that we support this bill and what it represents. This law marks an important epoch for people of Vietnamese origin living overseas, and can set an example for other nations if they so desire to pass similar legislation in the future. To my readers in Canada, if you haven’t already, please take a moment to sign this petition and share it with your family, friends, colleagues, and anyone who may be interested. The petition is put forth by MP Jason Kenney, and lets Canadians show their support for “Journey to Freedom Day,” also known as Bill S-219. It only takes a second to sign, and every signature counts. 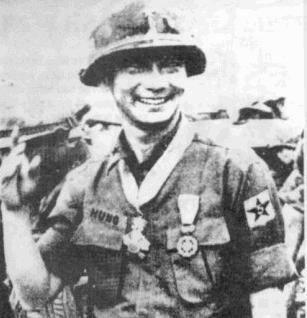 Normally, I would have some special article based on some notable historical figure of Vietnam to attach to a day like this. Unfortunately, I haven’t had much time to do such a thing, so I’m just going to get straight to the point. This article is dedicated to that fateful day on April 30, 1975, when the North Vietnamese steamrolled into Saigon to bring an end to the long civil war. There really isn’t much left I can say about this day. It was a tragedy, a day that marked the fall of one of Vietnam’s brightest periods in the modern era. South Vietnam was not without its flaws; there were numerous corrupted idiot officials in the government. However, despite these bad eggs, the key values which Republic of Vietnam represented were democracy, freedom, and liberty. South Vietnam never got to reach its full potential because of the war, but in its short lifetime, the RVN gave a glimpse of what Vietnam was capable of. The people of Vietnam, then, now, and always, have so much to offer to make the country great. Unfortunately, because of Ho Chi Minh and his Communists, the endless talents of the Vietnamese people have been, and continue to be squandered and suppressed. 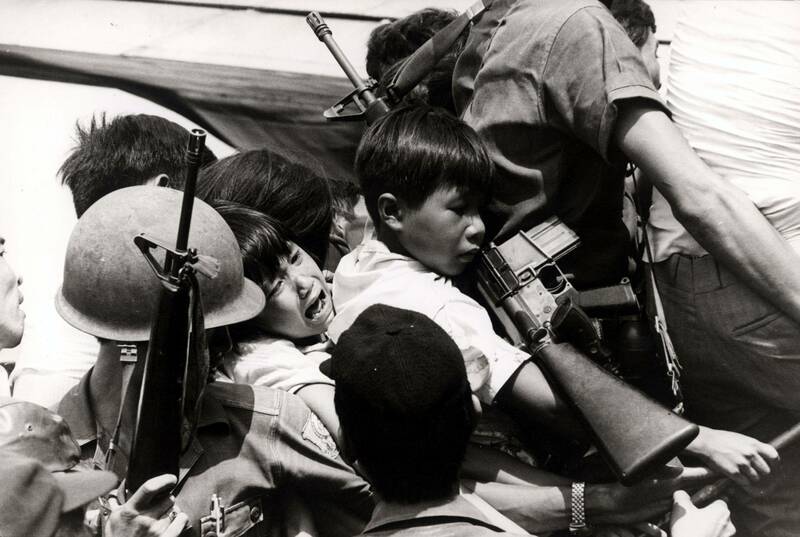 On that day, thousands of scared and heartbroken South Vietnamese people pored into the American embassy in Saigon. Many others jumped on the nearest boat and set sail into the open sea. All of this to escape the impending brutally and slaughter that followed after the North Vietnamese formally consolidated their rule over the population. Many of the refugees lost their lives at sea, but some were lucky to land in many countries such as Australia, France, Canada, and America. These survivors started new lives overseas, and are our mothers, fathers, uncles, aunts, cousins, our brothers, and our sisters. They were the boat people, those who braved the perils at sea to start all over, in an alien place that we all take for granted today. As the new generation, we don’t really know how lucky we are to be living in a land of opportunity, liberty, and freedom. I’m not just talking about America, but of all liberal democracies across the world. If you are a Vietnamese whose loved ones are among the few to survive the dangerous journey across the seas, and have provided you with an amazing life in this wonderful democracy of ours, I suggest you go to them and give them a giant hug. After that, tell them that you love them, and then thank them for providing for you in a land of freedom, democracy, and equal opportunity. Today may be a sad day in history, but it is also a time to appreciate the gifts that we so often take for granted: freedom. Have a nice day, my fellow leaders of tomorrow. To my people in Vietnam, a change will come, and you will be the ones to do it. Just believe.